The Mini-Cog is a simple three part test that is useful in detecting Alzheimer's and related dementia. The research study, included below, showed that the test has a high degree of accuracy (83 percent). Editor Note: If you are looking for additional self assessment tests for Alzheimer's visit the following page -- Test Your Memory for Alzheimer's Dementia (5 Best Self Assessment Tests). The Mini-Cog is a simple diagnostic test that can be carried out by an individual. It can be used if you are concerned about mild cognitive impairment, dementia, or Alzheimer's. However, if the results are suspicious, the test should be replicated by a physician or doctor specialist. And, schedule a test with a memory specialist. First, name three objects and then ask the person being tested to repeat them back to you (for example, chair, house, apple). If the person cannot repeat the three objects after a few tries (cannot learn them), please consult a physician immediately. If the person can complete this task move on to the following. Second, ask the person to draw a clock. 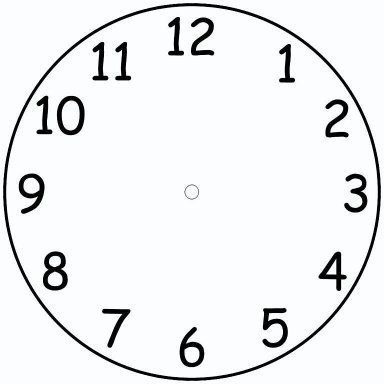 The clock should include the shape and the numbers on the clock. Pretty much like a simple clock you see on a wall. Third, ask the person to repeat the words/objects from the first part of the test. If the person is unable to repeat any of the words, they might be categorized as mildly cognitively impaired or suffering from dementia. The key word so far--might. If the person can repeat all three words the person is not "probably suffering from dementia". 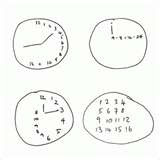 If the person cannot draw the clock or if it looks abnormal they would fall into the category of "probably" suffering from mild cognitive impairment or dementia. You should note that many people that cannot pass this test might be suffering from some other illness. This is why it is necessary to consult your doctor and a memory specialist. Article - How Do Alzheimer's Patients Die? Article - What is Alzheimer's Disease? The person you are testing could be suffering from depression, hypothyroidism, or any number of illnesses that can present as Alzheimer's or dementia. This is why it is necessary to get a complete battery of tests performed by a medical professional prior to any "official" diagnosis. The article below describes the Mini-Cog (MC), with a Functional Activities Questionnaire (FAQ) and the results of the research study. Please read this carefully. With millions of baby boomers entering late adulthood, the number of patients with Alzheimer's disease (AD) is expected to drastically rise over the next several decades. A team of national researchers, led by Emory University, has developed a rapid screening test to detect mild cognitive impairment (MCI) -- often the earliest stage of AD. The findings are published in the online edition of Journal of Alzheimer's Disease. "Since current medications can only delay the onset of Alzheimer's disease but are not able to reverse its devastating effects, a test like this is key to help individuals detect this devastating disease earlier and maintain a good quality of life for as long as possible," says James Lah, MD, associate professor of neurology, Emory University School of Medicine and lead investigator of the study. The new screening instrument, referred to as the MC-FAQ, allowed the researchers to correctly classify the 204 participating elderly individuals as cognitively normal, demented, or mildly cognitively impaired with a high degree of accuracy (83 percent). Approximately 30 percent of participants had MCI and 32 percent were very mildly demented. According to Lah, screening for MCI is notoriously difficult and typically requires 40-60 minutes or more of formal neuropsychological testing to achieve 80 percent accuracy or higher. Specific accuracy for classifying people as MCI with the MC-FAQ was 74 percent. "While this may not seem overly impressive, it is quite remarkable for a 3-minute investment," says Lah. "The MC-FAQ is also extremely inexpensive, easy to administer and score, and requires no special training." 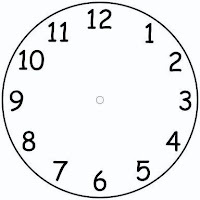 The MC portion of the screening consisted of a simple clock drawing task and three-item recall that typically took the research participant less than five minutes to complete. The FAQ was completed by a reliable informant, generally a spouse, other family member or close friend while the research participant was performing other tasks. Bob DeMarco is the Founder of the Alzheimer's Reading Room. Bob frequently speaks at conferences, events, and provides educational training in adult cay care and memory care facilities. The ARR knowledge base contains more than 5,000 articles. Bob lives in Delray Beach, FL. I failed test. I have always written down anything I want to remember and mostly I use a calendar and note pad, and always have. I have never given much thought to trying to remember anything. I use my notes for recall. ? They gave me math problems, and I used a calculator mostly. This was most frustrating.